There is a lot of information on the internet about NASA's Parker Solar Probe mission, including several multi-hundred page scientific reviews and in-depth studies - here's one. But could someone take a moment to explain how something could spend weeks at a time tens of millions of kilometers from the sun? Is the closest (and final?) approach still planned to be nine solar radii from the surface? It's a swing-by in a highly elliptical orbit, but that's going to be days or weeks, not minutes. Is it all just based on a really good insulator supporting an amazing temperature gradient, or is there something more complicated going on? Please try to add something quantitative - numbers, simple calculations, etc. to support your answer. 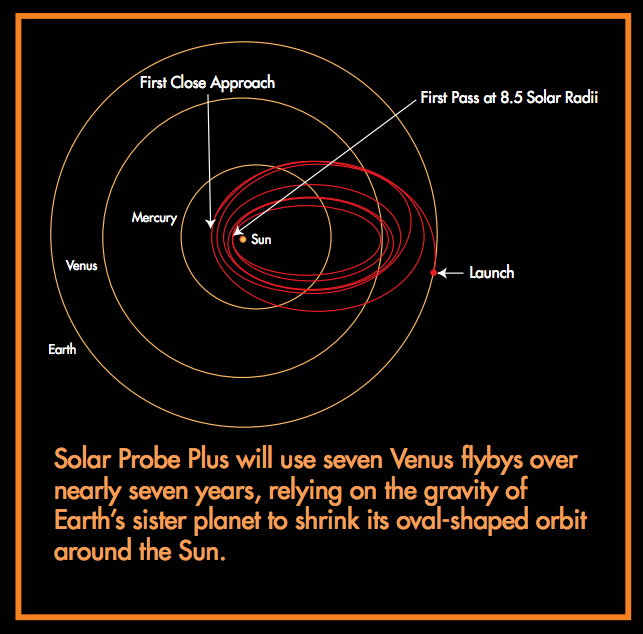 above: illustration of NASA's Parker Solar Probe from here. Sun is up - to state the obvious! Solar Probe Plus will be protected by an 11.4 cm (4.5 inch) carbon composite shield during it's closest approaches. Furthermore, the highly elliptical orbit will ensure that it won't remain close to the sun for long, although it will be long enough to heat up considerably. Also of some note is the very narrow profile. The satellite won't have to have much of it facing the Sun, which will allow it to remain relatively cool. The parts not facing the sun will also act as radiators, cooling the spacecraft somewhat. The solar panels are protected by a liquid cooled system to keep them in operational order. They can also be retracted completely behind the shield if required. At closest approach, they will be in the partial shadow of the shield, allowing the spacecraft some power. 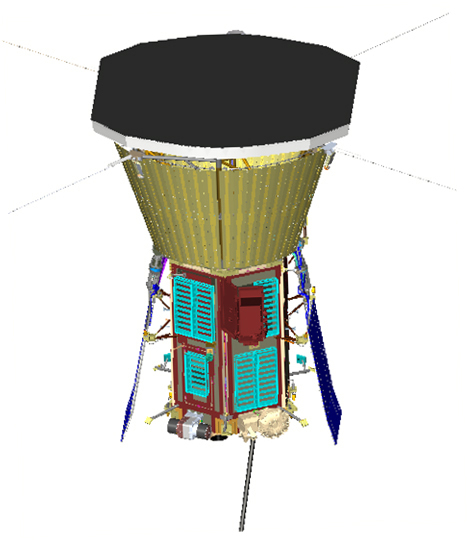 The shield is complete with radiators, minimal structure to the remainder of the spacecraft. Not the answer you're looking for? Browse other questions tagged solar-power heat-shield thermal-control parker-solar-probe or ask your own question. Would it be possible to build a probe that could operate at about 480 °C (900F degrees) without insulation? Why are these multi-junction solar cells 40% efficient on earth but 30% in space? Could a probe fly through the Sun's transition zone between chromosphere and corona?